Union Printed, Earphones with Case and Interchangeable Earbuds, The perfect accessory for your phone, iPod or laptop! 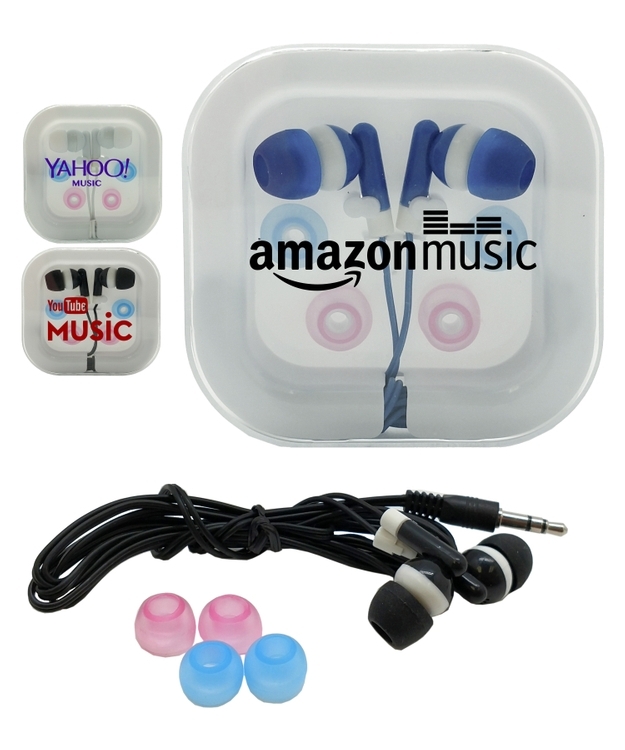 These earbuds come in a hard plastic case for portability and features soft silicone ear tips for a fit that will create a seal, blocking outside noise. The cord fits into a standard 3.5mm headphone jack, and wraps neatly around the base of the hard plastic case to keep the cord from tangling. When they are ready to get energized with the sounds of their favorite band, let them think of you when they open up these ear buds. Your company logo is imprinted on the protective plastic travel case. Decorated in our Union Shop - Union Bug Available at No Charge!